Professional, fast and affordable, we provide the best auto glass replacement service you can find. 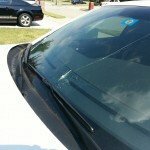 We specialize in Irving windshield repair which comes with our special guarantee. We have some of the best repair technicians who are certified and also have nearly a decade of experience correcting and replacing windshields, and back windows on many different kinds of vehicles. If your vehicle, be it a car, a van or a truck has chipped or cracked glass, give us a call and we will correct it for you faster and cheaper than anywhere else! Our glass repair services are one of the best and most competitive in Irving, Texas. Furthermore, we guarantee our services and products and stand behind them, in fact when you have Bill’s Auto Glass repair your vehicle, you get a lifetime warranty against material and labor. Our certified technicians are adept at correcting any kind of chip as long as it is as big as a quarter or a crack which can be a few inches long. You will never have to worry about which make your vehicle belongs to; we have ample experience in dealing with any type of vehicle out there. 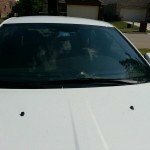 In need of our Irving windshield repair outside the city limits? We can help with that too. 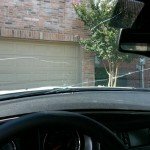 Moreover, we supply auto glass in Mesquite, Grapevine, Coppell, Flower Mound, or Dallas, Texas. Our technicians begin by extracting the locked air within the damaged portion of the windscreen and then inserting a specially formulated resin into it. As the resin solidifies, it repairs the damage and also stops it from spreading further while also reinforcing the structural integrity of the glass. You cannot just trust anyone with your vehicle’s windows, especially windshields when it comes to replacing them. In fact, only a certified technician should be allowed to carry out such complex tasks. Most importantly, we know you’re looking for a combination of quality and affordability which is why our company only uses OEM grade glass that we get straight from reputed windscreen manufacturers. Each window is properly matched with the model before it is installed. We also use urethane for bonding the glass with the vehicle’s body which is a recommended and standard practice in auto manufacturing. All our work is guaranteed for every windshield replacement we do. Above all, Bill’s Auto Glass ensures that when your vehicle leaves the care of our services, its glass is as good as when it was when you first got it. Our services, while being professional are also some of the most affordable that you can find in Irving, Texas. Simply give us a call or submit the application below to contact us for a free quotation for a windshield repair or replacement job and we will get in touch with you.